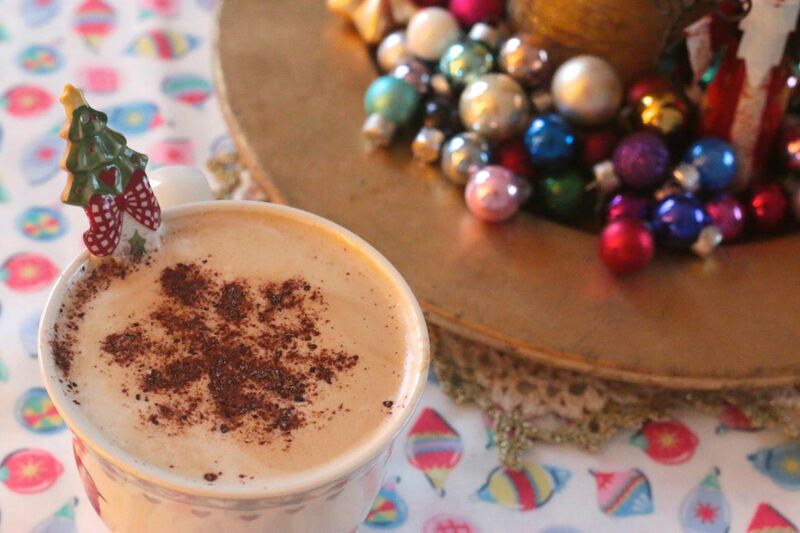 Hello Christmas Lovers! Well I hope that's what you are, because if you are here you might well know that I fall very happily into that category. And like most things in my life, I can't help but feel that it's something that is only enhanced by adding a little crafty touch. I've had fun adding a few yarny extras to my Christmas over the years and I thought I might share a little round up of my crafty Christmas makes and patterns that can be made as a treat for you, your home or those you hold dear enough to craft for. I hope there's something there that will tickle your fancy. I included a mix of different types of projects and also a mix of patterns that are available to buy and ones that are completely free. 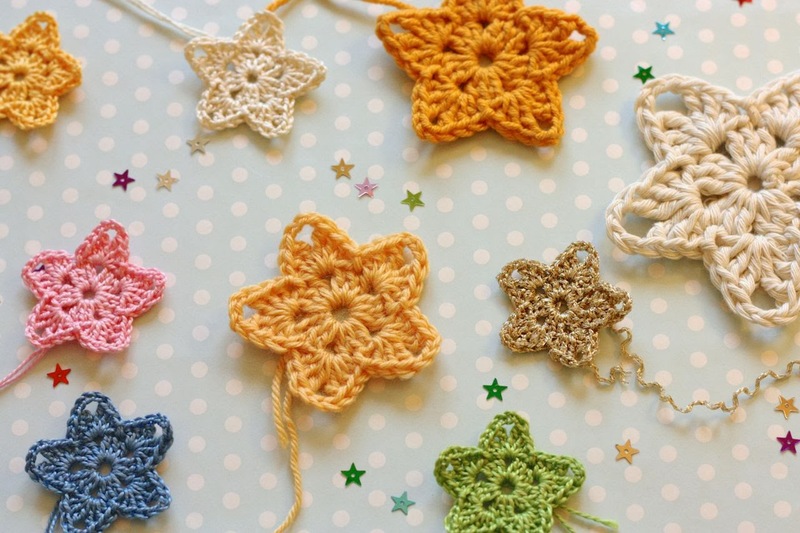 It's a kind of crocheter's selection box! This is one of my absolute favourite Christmas makes. I have one at home, I made one for my sister and my Mum has one too. Best of all you can make it in which ever colour suits your Christmas style best. You get two for the price of one here. 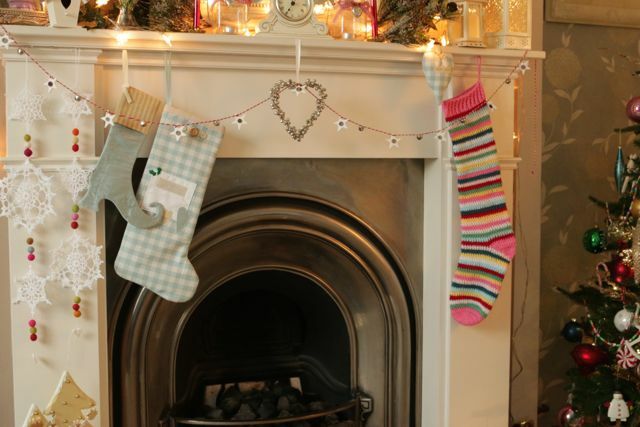 First of all a colourful and cute stash busting stocking to hang above the fire or fill with gifts. 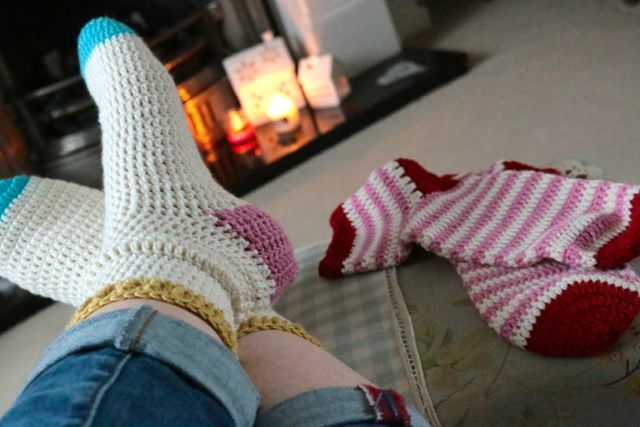 Then a snuggly treat for cold Christmas toes, perfect for lounging in. 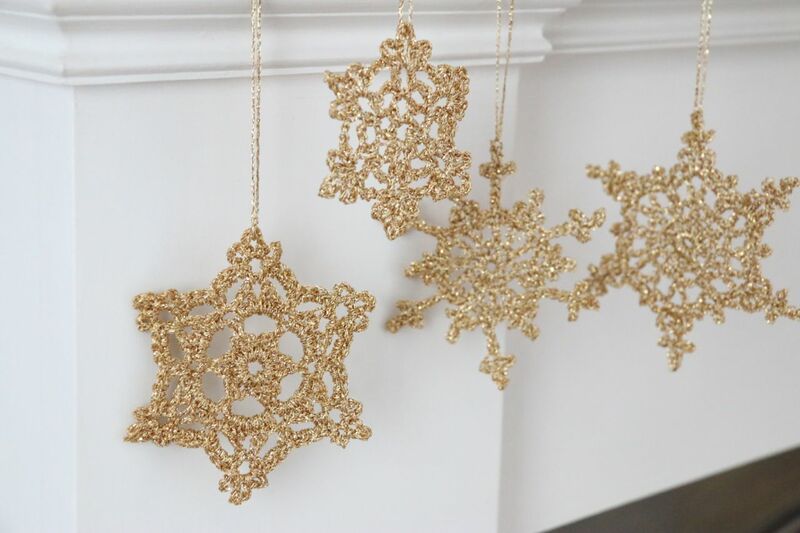 I only popped these up on the blog earlier in the week but worth mentioning here because a snowflake is a perennial favourite and in gold they make such beautiful decorations. These are fun and so easy and quick to make. I used these as little present toppers last year and they looked so cute. As a major mitt junkie I think they make the perfect crafty present. Beautiful, always useful and a small enough project to undertake for the last minute Christmas rush! 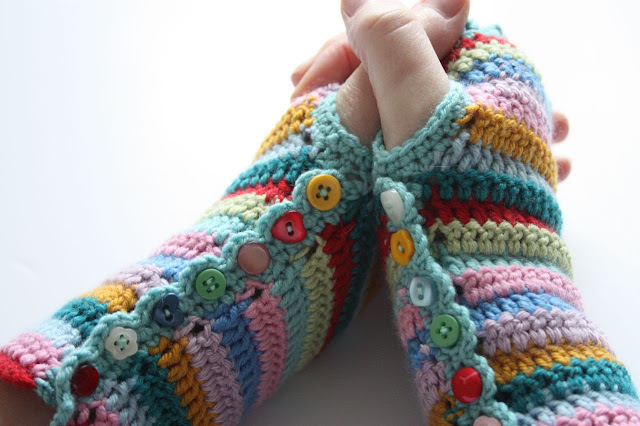 Love and adore the colours and puffy warmth of these mitts. You could easily make them in one colour or stash bust some scraps alway by stripping like I did. 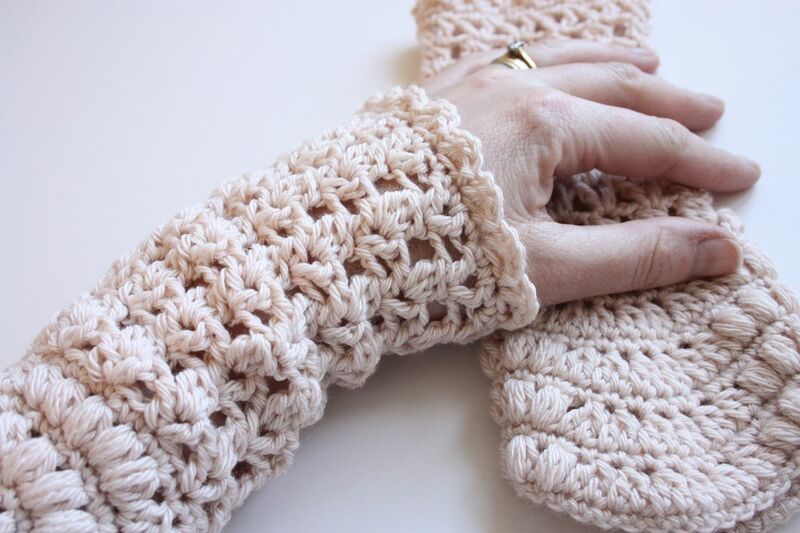 I love these mitts because that baskety stitch is just so snuggly and warm. 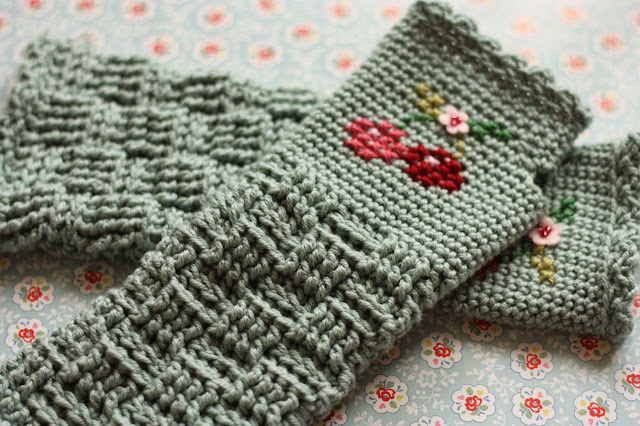 I couldn't resist adding beautiful cherries to my original pattern, but I've since made versions that just make use of that warm waffly basket all the way up too. 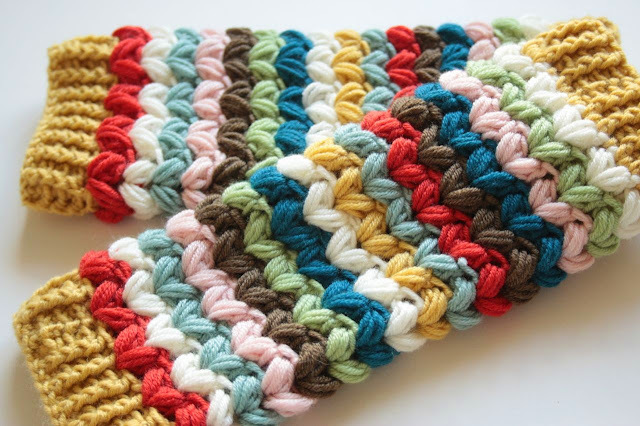 These are a nice and quick little mitt to make, especially if you stick to one colour as I did here. I've been wearing these over the last few weeks and they add such a pretty touch to my fitted jacket. 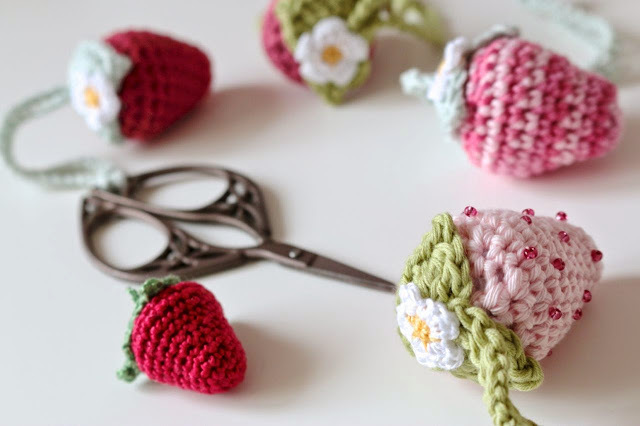 These are a bit of a blog favourite, probably because they have a bit of a winning combo of pretty colours and cute buttons. 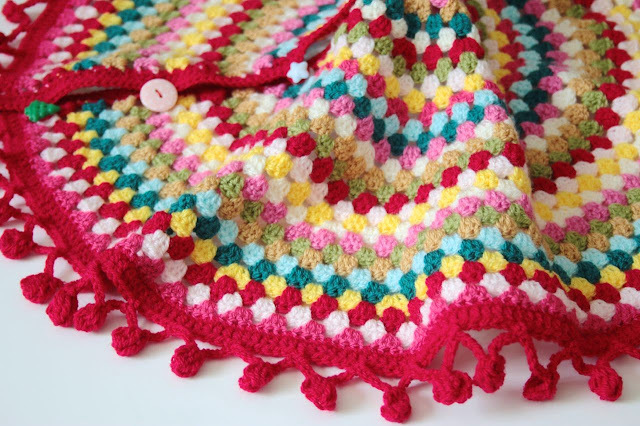 It doesn't hurt that is a completely free written pattern and there's a photo tutorial too! Occasionally I make something that isn't a pair of mitts and so I pulled a couple of other nice and simple crafty gift ideas that make pretty presents and won't take you forever and a day to complete. 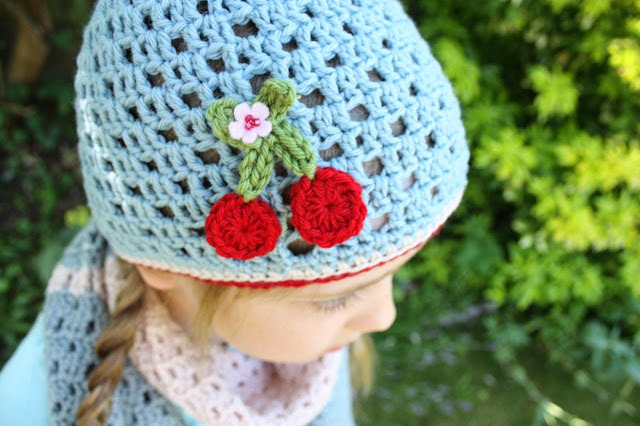 Made to go with my Cherry Basket Mitts, this little hat has a matching cherry and comes in children's and adult sizes. I just wish I could carry off a hat and still look as cute as DD does! 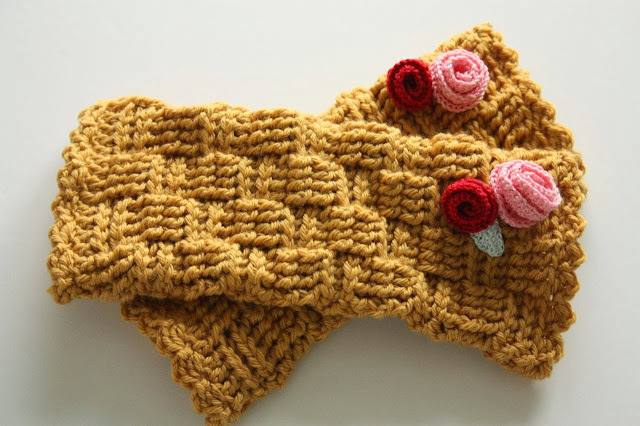 This is an excellent gift for a fellow crafter because it's cute and it's practical. It helps keep track of those pesky scissors which have a habit of drifting off and it makes a great little pincushion for your yarn needle too. In fact, if you haven't got one yourself, make this a gift to you. This is a slightly larger project, but as it only uses one skein of 100g sock yarn and is nice and simple two row pattern repeat it's easy to get into a rhythm and whip one up in a flash. 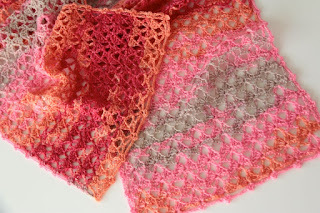 It's easy to adapt if you want to use a bigger yarn for a chunkier finish too.